BDF would like to take a moment to thank all of the individuals and organizations that make the work we do possible. Blue Planet Links Foundation's objective is to promote healthy water: safe drinking water for everyone, and oceans, rivers and lakes with thriving ecosystems. 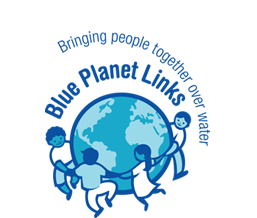 We began working with Blue Planet LInks in 2014, and their support has enabled us to help expand the capacity of several village water systems - a vital part of sanitation sustainability. We were a Lush Charity Pot Partner from 2013-2015, and as a result we were able to expand the scope of BDF's work significantly. Their unique approach to social change is an impressive force for good in the world. A heartfelt Thank You goes out to everyone at Lush. All of the individuals that have supported Bokeo Development Fund over the years - both donors and volunteers - we could not have ever done this without you. Extra special thanks to the Hayward Family, Edward Hanna, Jaap Maskant, and our other on-the-ground volunteers for their hard work. We would like to convey so much gratitude to Julie Nicole Photography, Nathan Harris, and Gwen Yune for their creative contributions to the website.